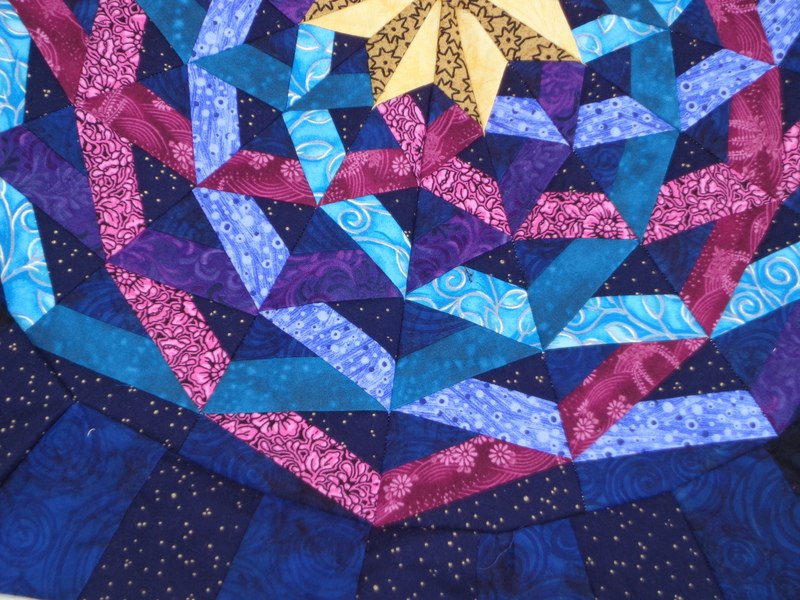 The end of 2015 was surrounded by creating quilt tops of the “scrap” genre. Quilts with lots of different fabrics in them, sometimes color controlled, sometimes completely random. 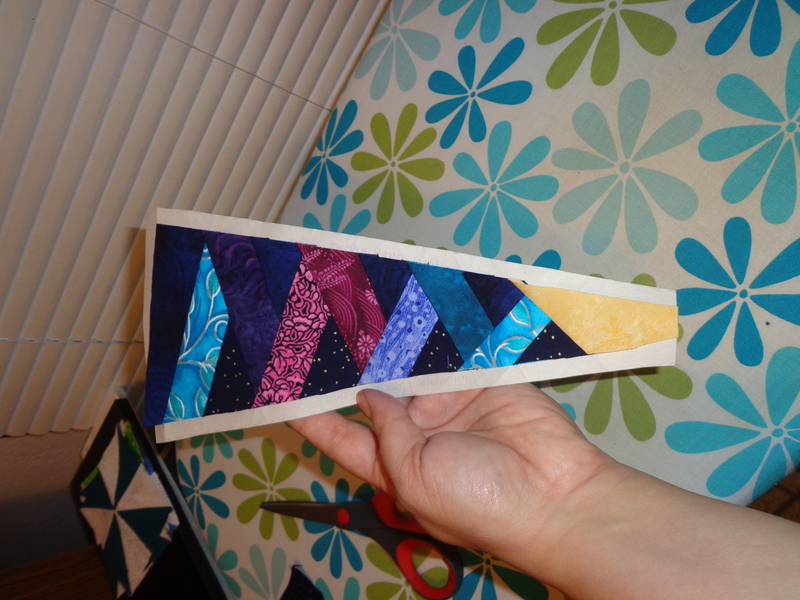 I readily obtain many 2.5 inch blocks by my “cut out strips” method of using fabric for projects. I know the value in 2.5 inch squares and so tend to cut squares into this shape when I have no set purpose for these squares. I have posted about this top a few times already, but I did finish the top at my recent Arkansas retreat. 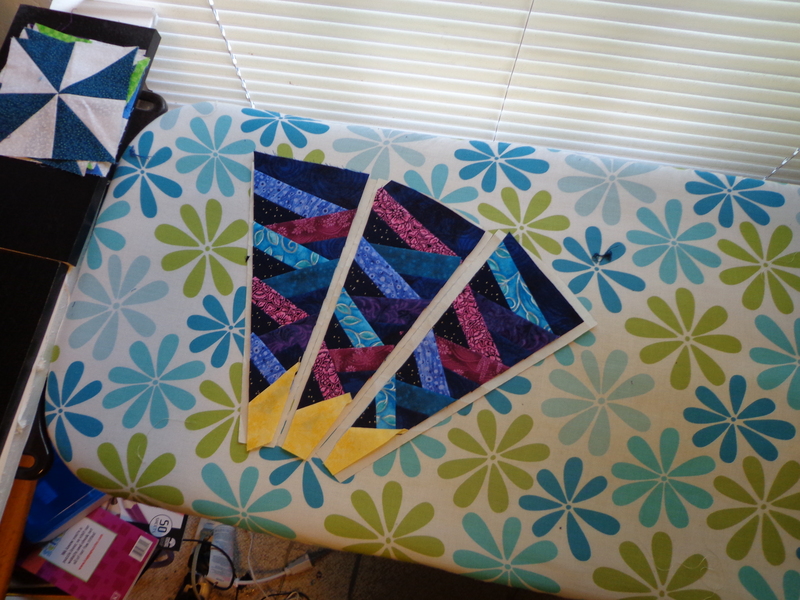 I was trugging along, trying to get everything sewn down, I knew how I wanted the borders to match the rest of the quilt. As you may be able to see the quilt is a simple idea. This is how I organize this quilt in my head when making it. 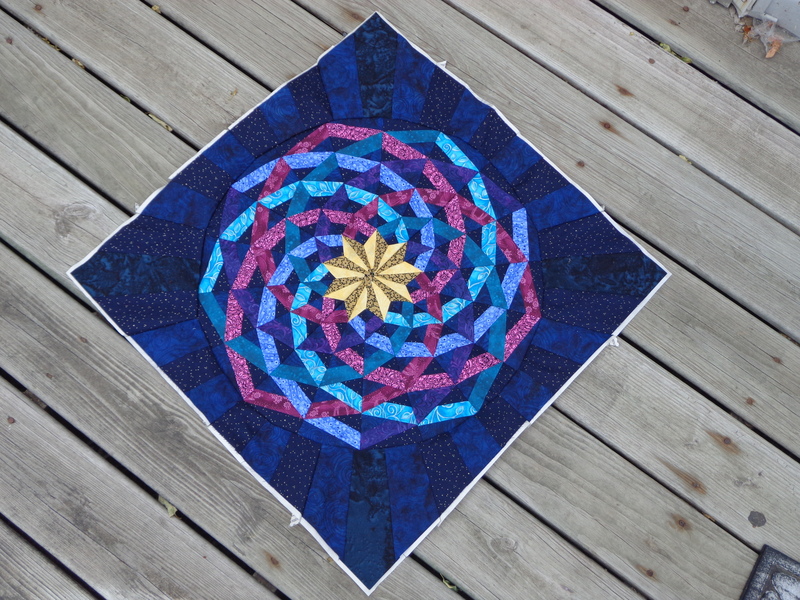 I have noticed it is starting to become “popularized” – aka I have been seeing it on some websites, or mainly the quilting group on FB as a single block, rather than 2 blocks of different styles. Either way works, it depends on how the maker would prefer to work on the designs. I made my album blocks by a simple paper piecing method. Very easy to paper piece. 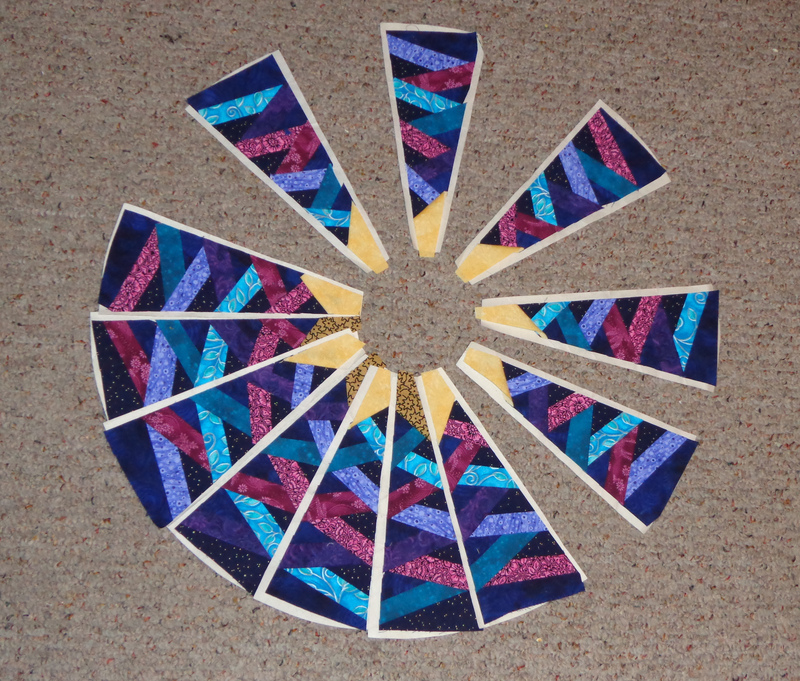 In fact, I would recommend this quilt to anyone who wanted to learn a little bit about paper piecing. 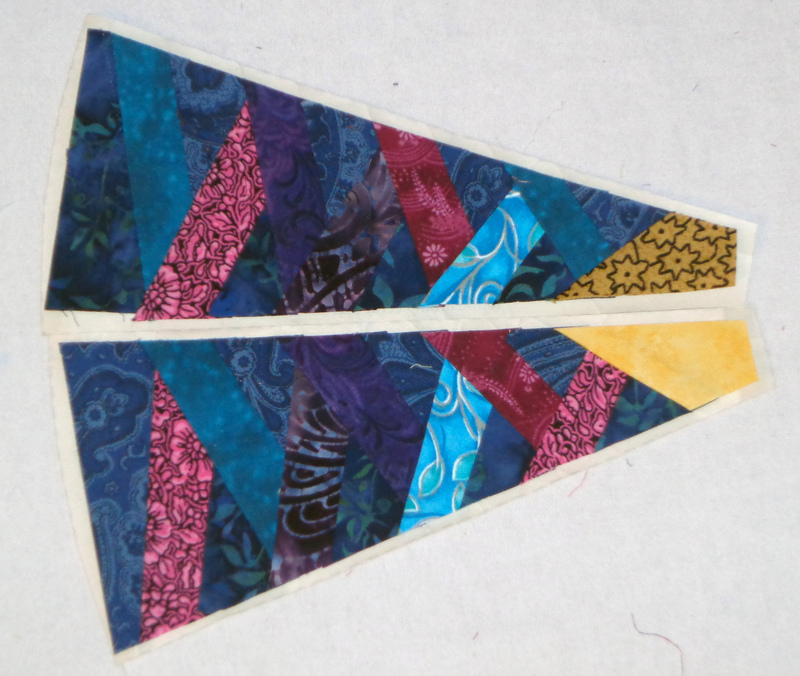 Not too many tiny paper pieces, the quilt seems satisfying in scope when done. In any event, while at my November retreat, I was in a rush to complete the quilt and I didn’t consider “row placement”. I ended up with my X blocks (four album blocks) on the outside corners. All of them. So the very corners are these silly little hour glass type things. I finished the quilt top, but I didn’t really like the corners of my Winslow’s Corners all that much. But then later that month, I was thinking. And thinking. I figured out a relatively easy way to correct the corners on Winslow’s corners. Since both edges ended up being off, if I would remove the last row on one side, move it to the other side, scooting it down some, remove both small borders. I had some “downtime” aka non-internet non-machine sewing time planned for the Thanksgiving holiday, I could unpick all the edges, get the quilt prepared, and then just had to do a few quick seams after black friday. So that’s what I did, picked off one border, took a whole row including the border, scootched it over to the opposite side of the quilt. The left over border on my “left” in the picture above is good since I removed the “offending row” and put it on the right. And scootched it down by one block. You can see from here, I still had to pick out the extra X block, and I had to quick make an extra 16 patch block. 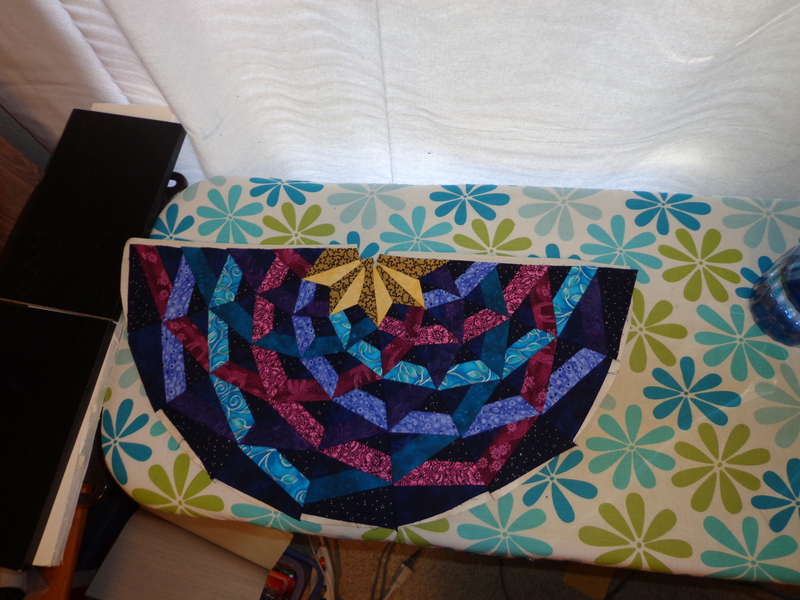 But only minor changes from this point and now the quilt top has much better border corners. No funny corners on my Winslow’s Corners quilt. 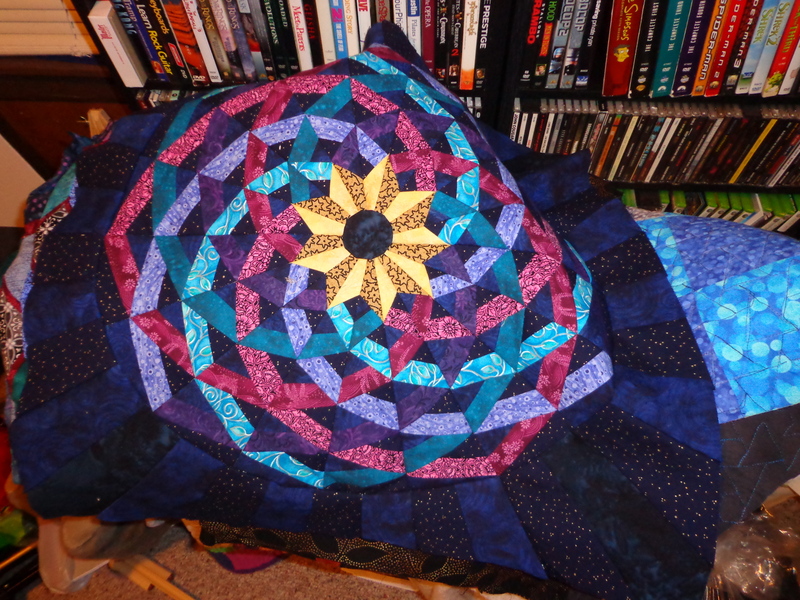 Did I mention why I am calling the quilt Winslow’s Corners? My annual fall retreat is in Winslow, Arkansas. And the quilt pattern is sometimes named Arkansas Crossroads. I find myself with an extra hour before work so I thought I’d update you. First, the finish along was a bust a long. Not exactly, I did make significant progress on all three projects. 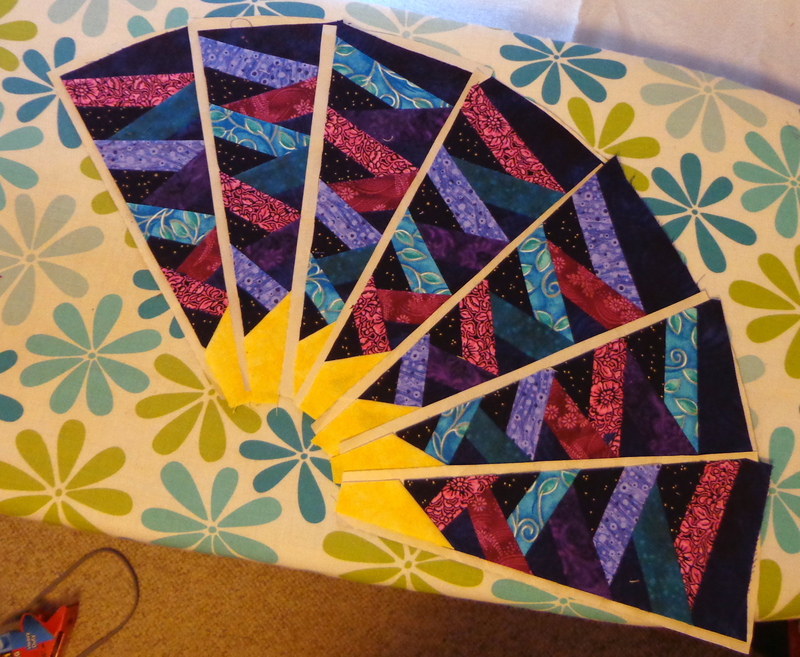 One was my strip twist quilt which is 3/4 quilted and I never yet made it back to the long arm place yet. So it’s close. 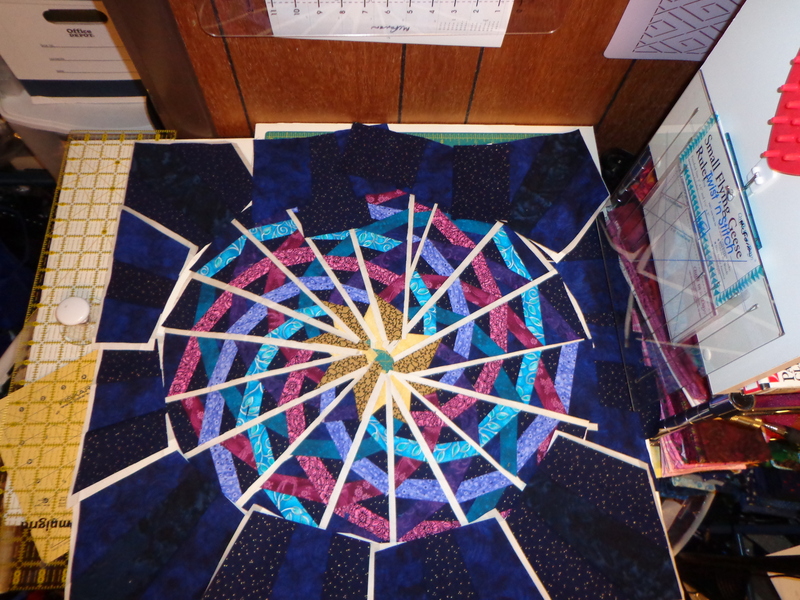 Two was my periodic spiral quilt, for which I have hand stitched, and embroidered pieces, and now am sewing the trim down and this past week have been completely unmotivated to sew the trim down further. So I take it to work and then take it home and take it to work and … well you get the picture. Three was my Don’t Panic Quilt which received twister blocks, a background answer to Life the Universe & Everything. And now I have to machine applique it down to the back. What’s stopping me here? Probably the cream colored thread color in my sewing machine. LOL. All I have to do is change thread and all I WANT to do is not change it. But it’s summer. So that’s OK. I did get something from block stage to very very close to finished top stage (just needs an applique circle in the very center. IT’s my Dancing Ribbons quilt! This is what it looked like late afternoon on Sunday July 1st. All that’s left as of this picture is to remove the back and add a center applique. Here’s the journey in picture form. 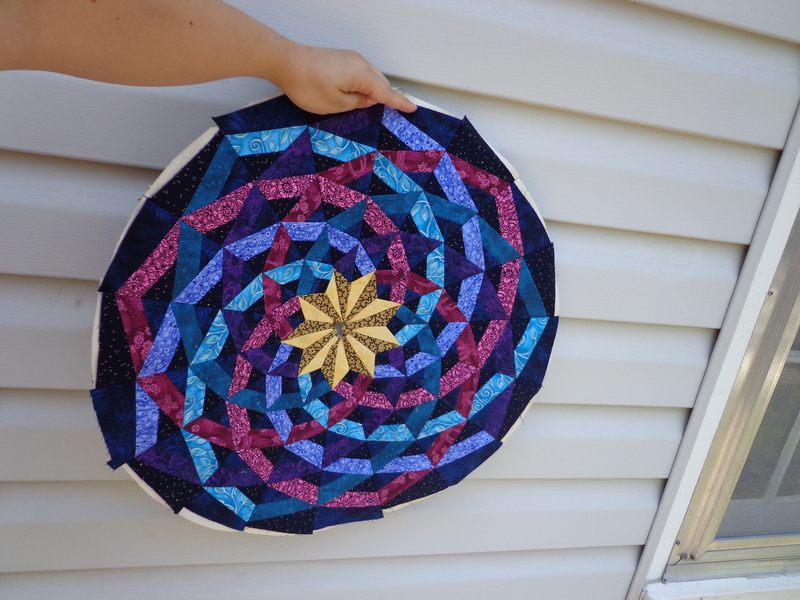 Starts with a free pattern from AQS. Too small. Blowed up on my scanner/printer. 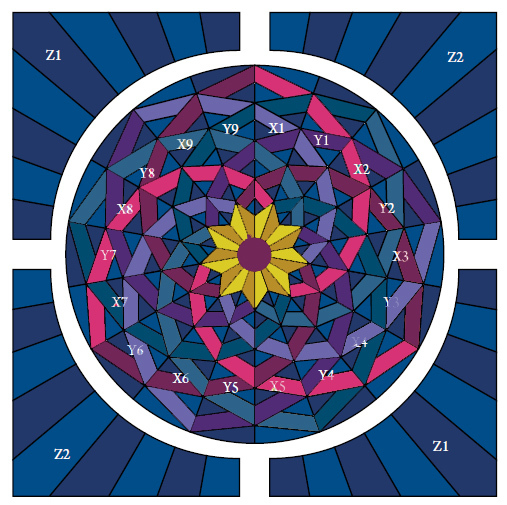 Then colored the version of the pattern with photoshop. Then I had to use all the organizational skills I’ve had to organize everything & then transfer to the foundations. And then starting to sew them. And then unsew them due to lack of contrast with the dark blue fabric. And purchasing more dark dark blue fabrics. And then resewing them. 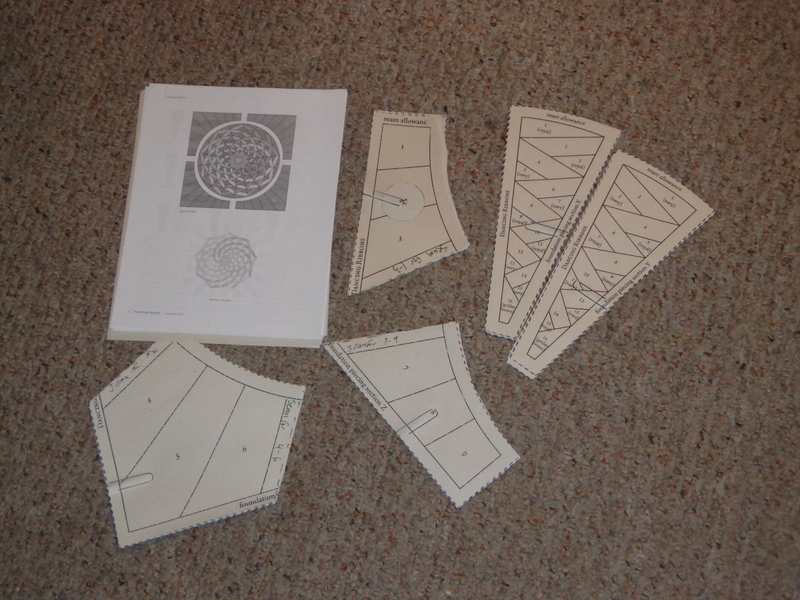 And then I thought I’d not have time to sew but plans changed. So I finished outside & started sewing together. And then I got the center finished. 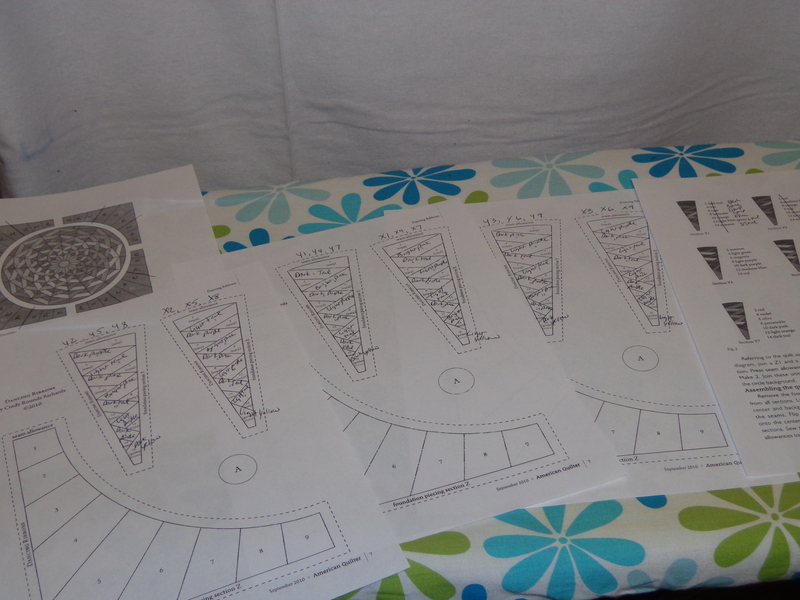 And then I had the “bestest” time (NOT) trying to sew the curves of the center. Turns out I ‘basted the quilt using my teeny tiny stitches. Then was able to resew together better. Here’s a close up of some of the ribbons. And now I have removed the paper (watching three television shows to do it). And I have cut out but not appliqued the center down. Now to figure out how to quilt this that doesn’t emphasize the puckers that may or may not have happened while putting the outside curve together. Very happy with this quilt. All from an email for a free pattern!